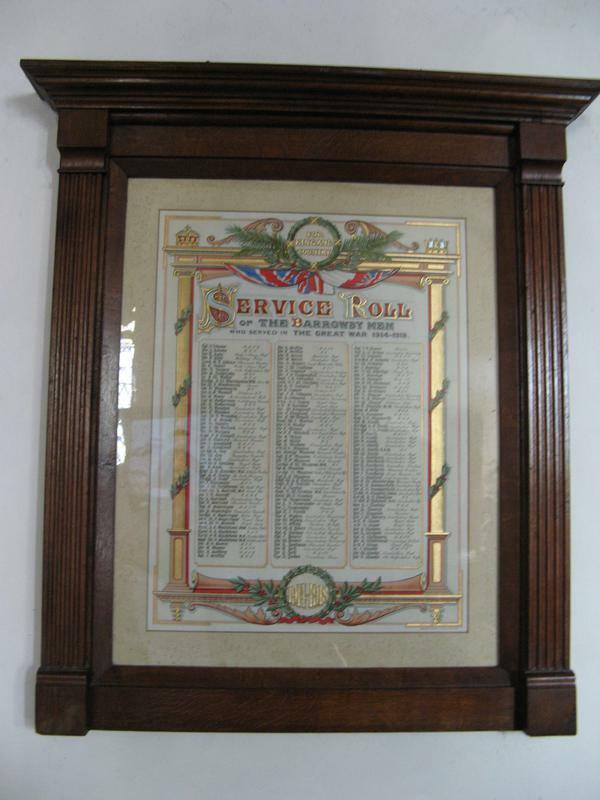 An illustrated roll of honour. 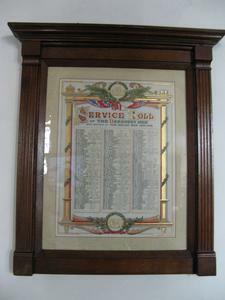 The names are listed in three columns, and bordered by illustrated gold-coloured Ionic columns surmounted by crowns. The pediment is illustrated with a swagged Union Flag and a green wreath.